STSA is currently accepting abstracts for its 62nd Annual Meeting, which will be held November 4-7, 2015 at Disney’s Yacht & Beach Club Resorts in Orlando. 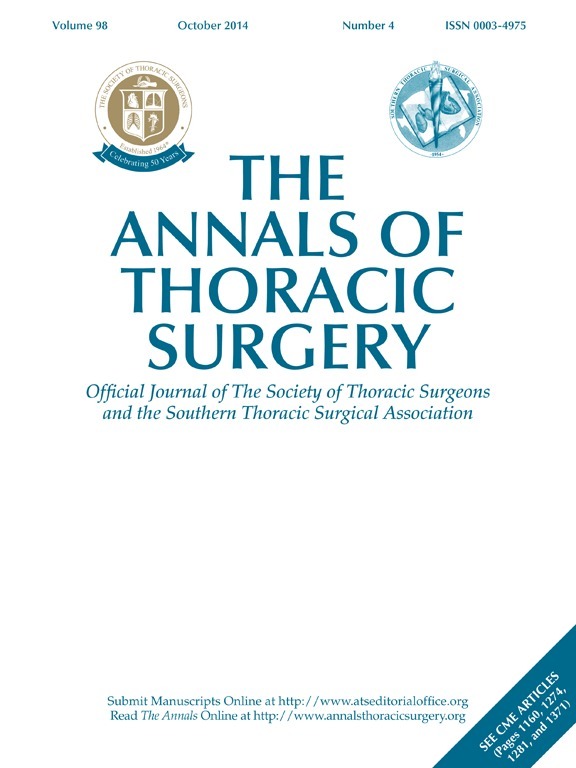 Among the many reasons to submit work for presentation at the STSA 62nd Annual Meeting, is the opportunity to be published in The Annals of Thoracic Surgery, the official journal of the Southern Thoracic Surgical Association and The Society of Thoracic Surgeons. Authors selected to present at an STSA Annual Meeting are required to submit their manuscript to The Annals for consideration for publication. Seventy percent of all 2012 and 2013 STSA Annual Meeting oral and video abstract presentation manuscripts were accepted for publication in The Annals, which has a circulation of over 8,000 subscribers. The STSA Annual Meeting is an exceptional forum for disseminating your work both to the STSA community as well as to the entire field of cardiothoracic surgery. Plus the intimate size of the STSA Annual Meeting creates an energetic, open environment for the lively exchange of ideas while also generating the social and collegial atmosphere that is emblematic of the Southern Thoracic. Review the abstract submission guidelines and access the abstract submission website at www.stsa.org/abstracts. Contact STSA Executive Director, Megan Drumm, at mdrumm@stsa.org with questions about the abstract submission process. The abstract submission deadline is April 6, 2015.